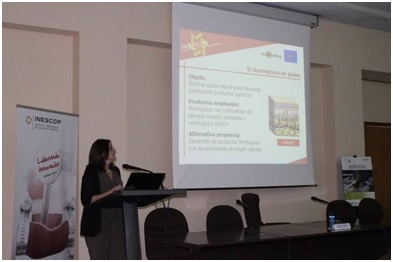 The workshop “Sostenibilidad en la industria del calzado” (Sustainability in the footwear industry) was held on 16th June 2016 at the premises of INESCOP in Elda –Alicante (Spain). 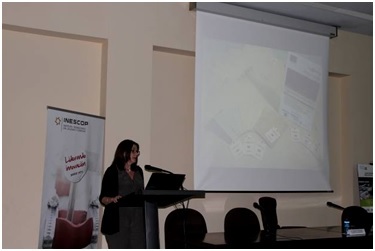 This workshop, organized in parallel with the “Green Week 2016″ as a partner event, was intended to inform the attendees about the environmental improvement projects that are being developed by INESCOP for footwear and related industries. 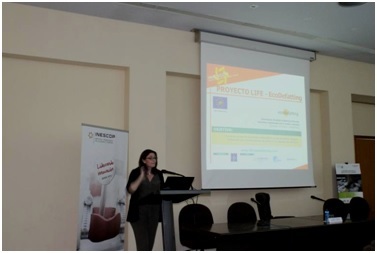 In this context, at this workshop was presented the LIFE EcoDefatting project, explaining the project objectives and stages and the technical project results. The workshop brought together around 51 technicians from leather and footwear industries, chemical suppliers and public bodies, and ended with a lively round table, where the attendances participated actively and showed their interest in the use of the natural defatting products developed in the LIFE EcoDefatting project.